commenced in June’s News…we hope you enjoy it. Welcome to the second issue of summer’s BANT News. Inside it you’ll find information on the imminent Healthy Eating Plates and associated poster suite, BANT Member diagnostic test discounts, a great opportunity to volunteer at camexpo and the second webinar in the Cardiovascular Lecture Series, which commenced in June’s News…we hope you enjoy it! Access the BANT news here. Following on from his excellent webinar series on Mitochondria and Part 1 of the Cadiovascular Lecture Series (exclusive to BANT and accessible through the Centre of Excellence), this this second part webinar is on eNOS and role in cardiovascular health. Both part 1 and part 2 of the lecture series webinars provide information and practice tools essential for therapists. Endothelial Nitric Oxide Synthase (eNOS) is the most significant factor in cardiovascular disease prevention. This webinar takes an intimate look at the function of vascular endothelium. It examines how eNOS can act as a vasodilator, antioxidant, protect LDL cholesterol against oxidation and is an inhibitor of platelet aggregation and foam cell formation. eNOS is literally the guardian of the vasculature! The British Association for Applied Nutrition and Nutritional Therapy says a tax on all unhealthy food would disincentivise consumption and ‘provide tax receipts towards health care expenditure’. The British Medical Association wants a 20% tax on sugary drinks. We now know that excess sugar can damage teeth, promote obesity, type 2 diabetes and also perhaps Alzheimer’s diesease (as type 3 diabetes). DO YOU KNOW HOW MUCH YOUR BANT MEMBERSHIP IS WORTH? Being a member of BANT enables you to take advantage of the many member benefits. Your BANT Council is fully committed to ensuring your BANT membership works for you and offers you increasing value for money. 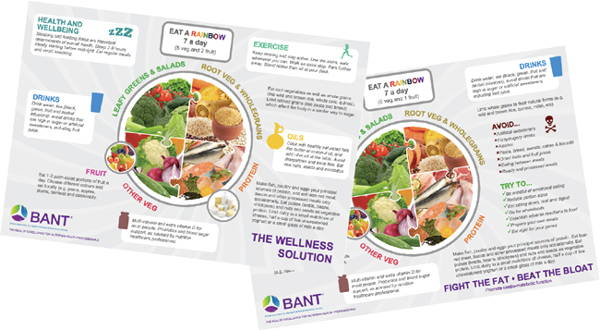 For details of all the Special Offers and Discounts as well as the many intrinsic benefits of being a BANT member see the eblast link below.